A new quilt is in the making. Step back from your computer and look at this quilt from a distance. Rose Mary and Ray grilling steaks. 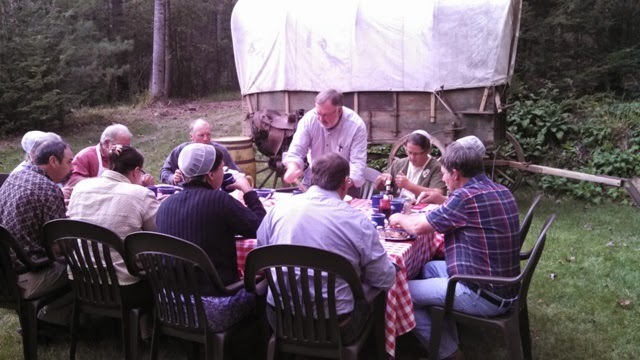 eating out side with tin plates, top notch food and to add to all that great fellowship. The atmosphere was just amazing. Then after supper we sat around the camp fire and listened to embarrassing moment, hunting experiences and skid loader rides. We laughed so hard. C&T Publishing is giving away my book. 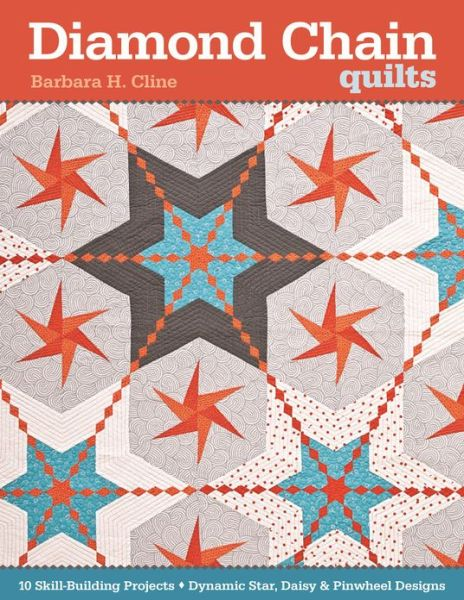 Go to their blog and try to win my book "Diamond Chain Quilts". You have till Oct. 10th to try your chances of winning the book. Sure enjoy seeing this quilt take shape. 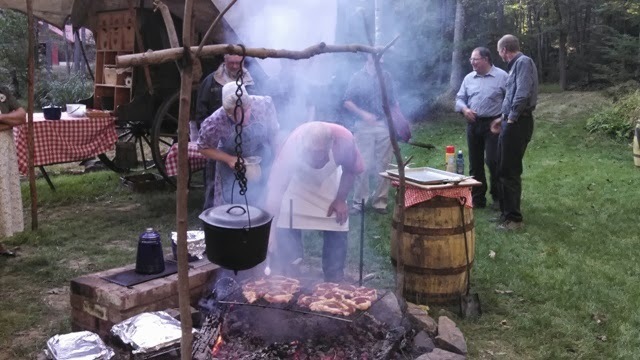 The Chuck wagon supper looks amazing. 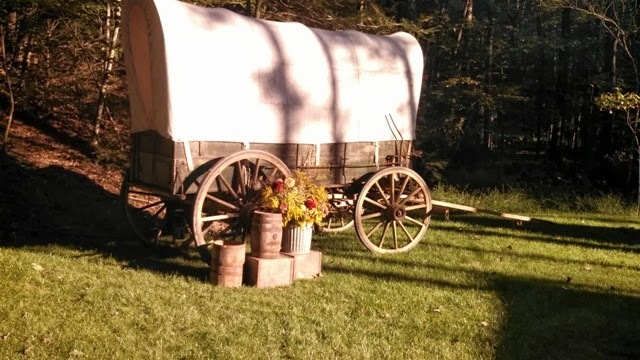 Are they the ones who go out West every year with Norma and Gordie on a short Wagon train trip? Yes, they go on a trip with Gordies, but it's not out west. Nothing like enjoying a great meal (I'm hungry thinking of grilled steak) shared with friends and laughter. Your quilt is amazing. The second one is shaping out well too! 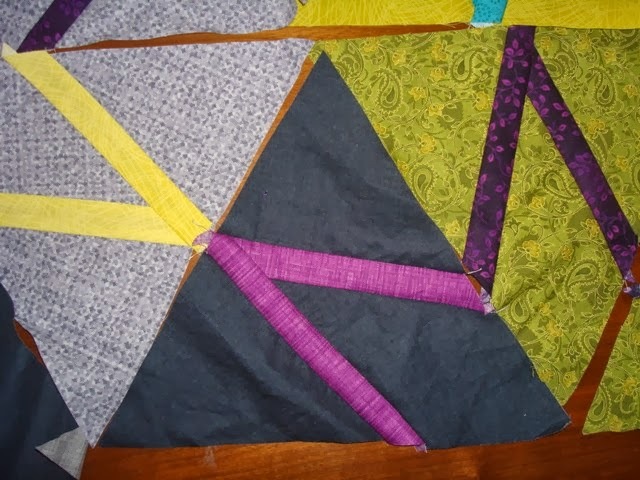 Those triangle pieces would have to be incredibly exact! Amazing! I did step back as suggested and I see you have another design (diamonds) that is taking place too! Wonderful! 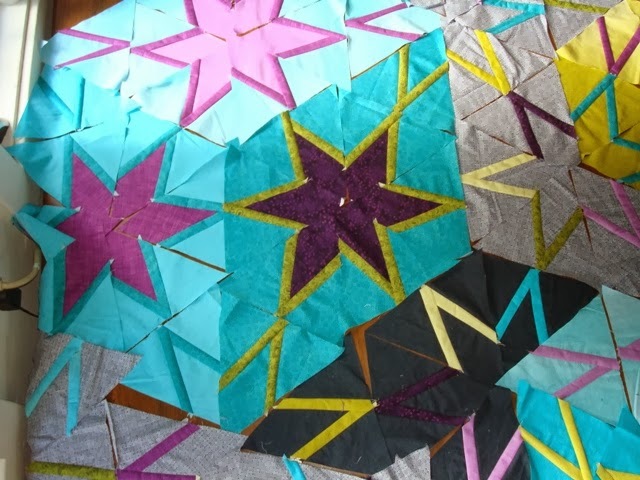 I love the colors you are using int that star quilt! Wonderful! 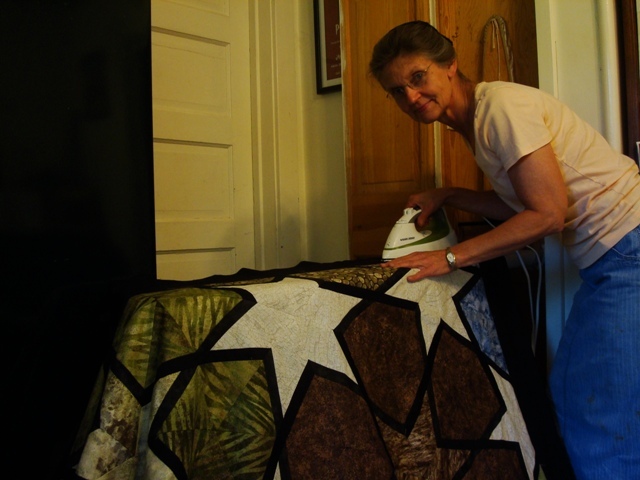 What a beautiful quilt and it looks like you really, really have to be exact on the piecing. What a wonderful dinner too! I'm off to enter the giveaway for your book! Thanks for sharing. Those stars are going to look terrific - and I like the one in the ironing picture too. Wouldn't mind one of those steaks, either. Love your stars. Nothing like eating outdoors and the setting is just beautiful. Beautiful colors! Can't wait to see it finished.